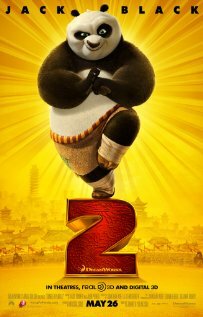 The summer movie season is now in full swing, which means that Kung Fu Panda 2 will be out in theatres this weekend! I really enjoyed the first movie and hope that this movie will live up to my expectations. I have heard some basic early reviews and it seems like it should be good. Of the summer movies so far this one should be entertaining for the whole family. I will be seeing it this weekend sometime, and I can report back after that. Kung Fu Panda 2 is rated PG, and has a running time of 90 minutes. To find out more about the movie see IMDB.